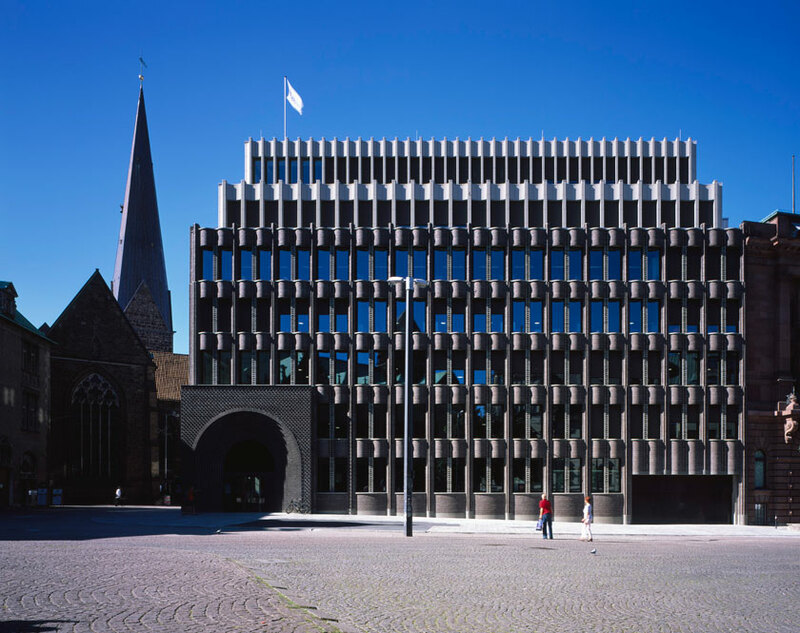 Opposite of the UNESCO-listed medieval town hall in the historic centre of Bremen the design for Bremer Landesbank intends to make a discrete yet characterful building whose facades reflect the understated hanseatic attitude of a bank building. 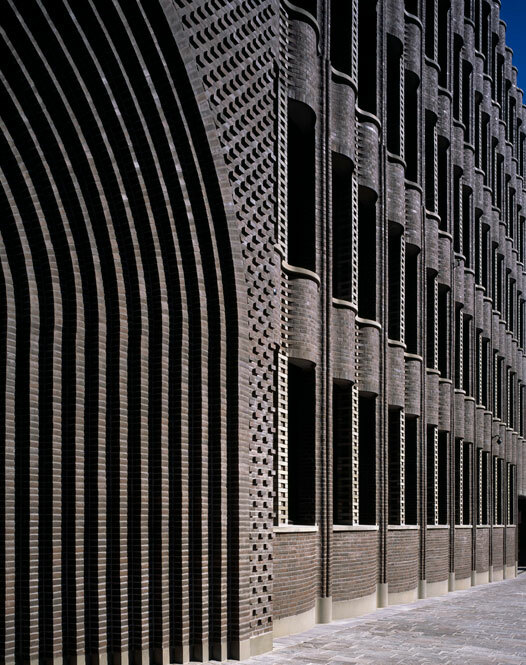 The exterior draws on the traditions of Northern German brick buildings and articulates piers and windows as part of an expressive skin with fine piers and curved walls. 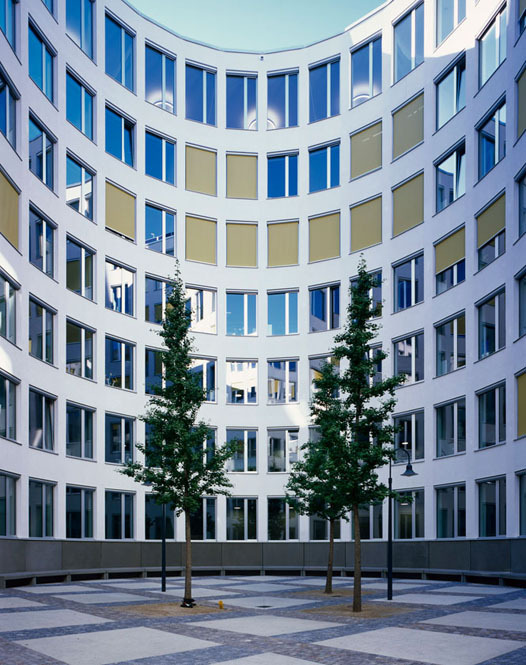 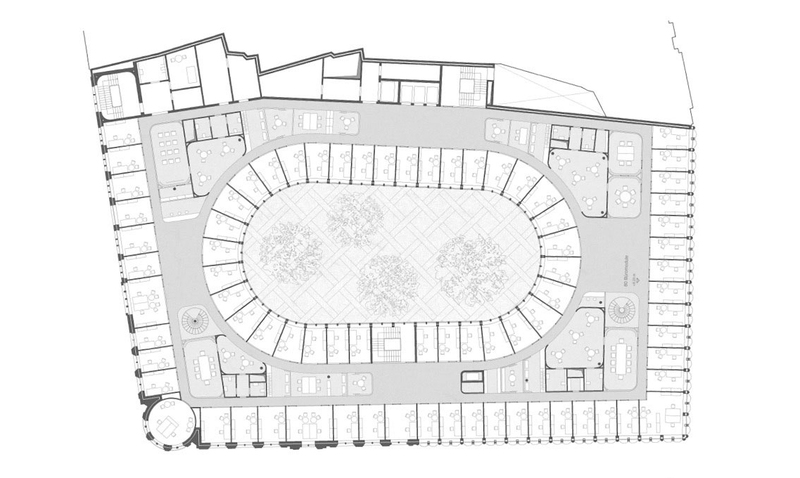 At its centre a generous courtyard with trees forms a public entrance for employees and visitors whereas the main entrance is directed towards the Roman church building of the Dom with an inviting cone-shaped portal to enter the bank hall.